A seismic network was deployed the day after the main shock of the 2004 Mid-Niigata Prefecture Earthquake to determine the major source faults responsible for the main shock and large aftershocks. Using the high-resolution seismic data for five days, three major source faults were identified: two parallel faults dipping steeply to the west located 5 km apart, and another dipping eastward and oriented perpendicular to the west-dipping faults. 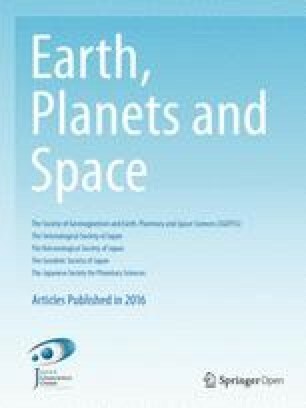 Strong lateral changes in the velocity of the source area resulted in the locations of the epicenters determined in this study being located approximately 4.3 km west-north-west of those reported by the JMA routine catalogue. The strong heterogeneity of the crust is related to the complex geological and tectonic evolution of the area and therefore the relatively large aftershocks followed around the main shock. This is considered to be responsible for the prominent aftershock activity following the 2004 Niigata event.